As a solo traveler you want to explore the city with at a low budget? No problem! We would recommend our 10, 8 or 4 bed dorm where we can guarantee you find mates for your stay in city. As a couple you seek some privacy but don’t want to miss out the cozy atmosphere of a hostel? Our double or twin rooms are perfect for you. Or you want to travel with all your friends and want to book a whole room or the whole hostel for yourselves? We’ll be more than welcome to help to arrange your whole stay. 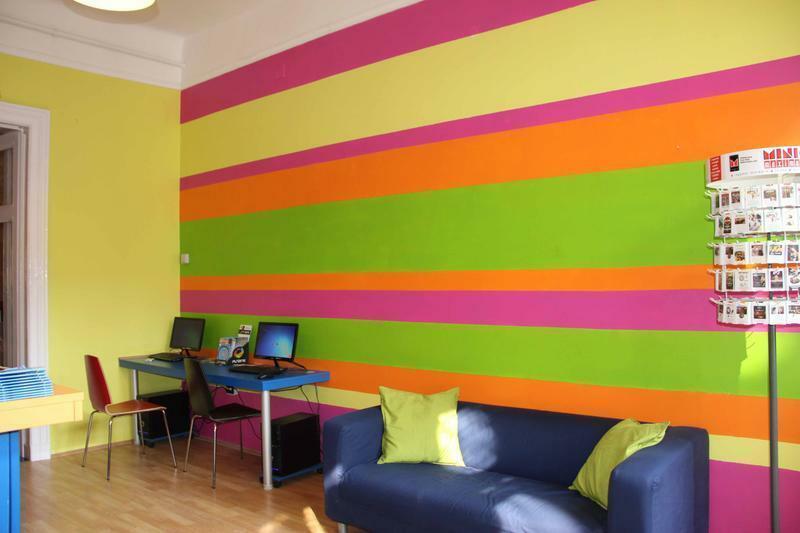 This is Base Budapest Hostel & Backpackers. A brand new property in the historical center of Budapest: a cozy, lovely and youthful hidden gem in the downtown. We offer young, English-speaking local staff that can provide you information 0-24 about all the must-sees and also the hidden treasures of Budapest, as well as the party places – famous ruin pub, Szimpla, and party district only 7 minute walk away. The most convenient way is to write an email for us at least 24-hours in advance before you come. That way, we can book a seat on the shuttle for you, and you don’t have to wait in line. But you can also find the shuttle service at the airport, right before the exit. The service is available 24/7, and costs 2500HUF/person. Especially if you’re a group of people, it is advisable to send as an email in advance, so that we can arrange a vehicle for your need in advance. Taxis are available just outside the exit of the airport. Take 200E bus from the airport until Kobanya-Kispest station (this is the last station). Take Metro 3 (blue line) from Kobanya-Kispest to Ferenciek tere. Once you come up with escalator, take a left turn and come up to the surface. You should see a square with a supermarket on your right and a church on the left. Turn left, walk along the church and come to Kossuth Lajos Street 1. If the metal gate is closed, ring the white button for Base hostel and we’ll open it for you. Once you come in the gate you’ll find a glass door one the right: ring up Base Hostel, and come up the stairs. We’ll be at the first floor, at the top of the stairs on the left. Taxis are available just outside the station. If you went up with escalator, walk to the far left corner of the subway, and take the right path. If you come up the surface you should see Hotel Astoria on your left, and a Turkish restaurant on the right across the street. Walk app. 250m straight ahead, until you find Kossuth Lajos Street 1. on your left. If the metal gate is closed, ring the white button for Base hostel and we’ll open it for you. Once you come in the gate you’ll find a glass door one the right: ring up Base Hostel, and come up the stairs. We’ll be waiting for you at the first floor, at the top of the stairs on the left.